Contrary to popular opinion the appetite for investment property post Brexit remains strong. Unlike many lenders whose immediate reaction was to withdraw funding or impose significant changes in criteria Holme Finance Bridging Solutions (HFBS) recognise both brokers and their clients need stability which is why their sensible approach to underwriting is simply a prefered solution. HFBS provide clear underwriting guidance, make instant decisions and, importantly, haven’t imposed changes in criteria on pipeline deals or failed to honour an agreed advance. This winning formula for the company has seen a steep increase in broker approaches and record lending levels achieved in July. HFBS offer the LOWEST second mortgage rates in the bridging finance market starting at just 0.95% month on advances from £50,000. HFBS Bridging Solutions have been advancing short-term funds, via a limited panel of intermediaries, for over 15 years with complete authority on their lending. Simpler, quicker, cheaper. HFBS cleared the small business loan directly and released the additional sum to the client by securing against the BTL property and cross charging the client’s own residential property. Due to the significant amount of equity in the client’s own home address HFBS were able to rely on a drive-by valuation helped to speed up the process and also saved the client over £500 in upfront fees. A semi-commercial deal that was a little more complicated than usual secures a bridging loan for 100% of the purchase price. The client had agreed to purchase a shop with planning for living accommodation above. Contracts were exchanged with a deferred completion date and development of the property progressed in the mean time. HFBS arranged funding to complete the purchase as planned. The property is now split into three shops on the ground floor and 14 student lets above. 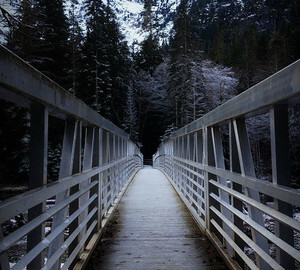 HFBS Bridging Solutions have been advancing short-term funds, via a limited panel of intermediaries, for over 15 years. With complete authority on their lending, unlike many of their competitors who require ultimate agreement from the hedge fund/bank.